NEW YORK CITY – This spring’s Asia Week New York sales are fading into memory and the record books, but a discovery offered at a Sotheby’s auction that turned into a big payday for its owner calls for a postscript to the weeklong event. The woman’s grandparents had also been horticulturalists, so there were many glass and ceramic vessels among the household effects. Whether they had acquired this particular vase in China was unknown, according to Lipton, but he said the woman had come by the vase via her grandmother, who had told her she could take anything that she wanted from the collection. She told Lipton that she had long been captivated by the massive, 21-inch-high piece. Lipton’s eye, diligence and relationships with auction house specialists paid off. The vase, a rare and large Ru-type hu-form example, Yongzheng mark and period, sold for $396,500 at Sotheby’s March 15 auction of Chinese art to a female bidder on the floor. The appraiser said he was very gratified when he attended preview for the sale at Sotheby’s galleries and saw the vase exhibited in its own showcase with a scrum of collectors gathered around carefully scrutinizing the piece. According the sale’s catalog notes, the rare vase, remarkable for its subtle bluish glaze and graceful curves in profile, was created in imitation of the celebrated Ru-wares of the Song period, reflecting the Yongzheng emperor’s penchant for these early wares. 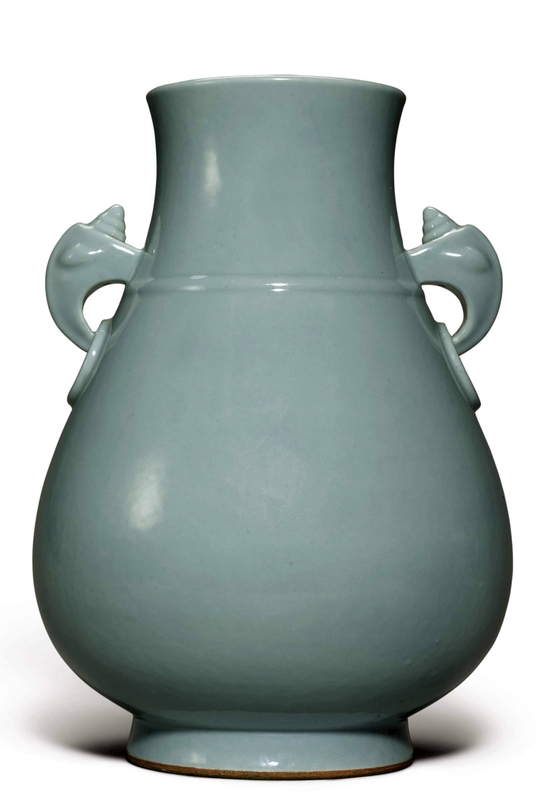 While a delicate celadon glaze had already been developed in the Kangxi reign, it was during the Yongzheng period that the production of glazes imitating Song dynasty Ru and guan wares greatly expanded. Only two other related vases of this type are known, but these are covered in a crackled Ru-type glaze One is in the Palace Museum, Beijing, and the other was offered in Sotheby’s London rooms in November 2011. With a nearly 200,000 percent increase over the prior appraisal’s value, “My client was very, very happy,” said Lipton, who credits his decades of experience, extensive library of catalogs as well as tenacity among the secrets of his success. He can be reached at 203-459-1000 or email appraisersassociates@gmail.com.